When the Dealership Says Your Loan Was Denied | The Consumer Law Group, P.C. What can I do if the dealership says my loan was denied and wants me to sign new paperwork? This type of sale is one of many examples where dealers use unfair tactics, creating what we call a "yo-yo sale." This is where the dealer tells you your loan was approved, but later calls and says that the loan was not approved and demands the car back unless you pay more money. Often the dealer knows the loan contract that it signs with you (called the Retail Installment Sales Contract) will not be approved, but acts as if it's a done deal so that you become emotionally committed to the car. When the dealership calls you to sign a more expensive contract or lose the car, you agree to do so to avoid the embarrassment with friends and losing the car you now love. Unfortunately, in Virginia, this can be legally done, but only under certain circumstances. Your Buyer's Order is supposed to have a paragraph that is required by VA statute that permits the dealer to cancel the sale if it is unable to assign the loan (that is to get a third party lender) to purchase this loan contract on the same terms you agreed to. Even if you were told "the loan was approved," if the dealer later on calls and says the loan did not go through, under the law, you have 24 hours to return the vehicle, at which time the dealer is required to refund ALL your down payment and return any trade-in. Once that is done, the deal is over and you should move to finding another car somewhere else. The dealer will likely try to get you to pay a larger down payment or offer a new loan contract that costs you more since it knows you are now emotionally committed to the car. But you are NOT required to agree to any new deal. My advice is to demand ALL your down payment and trade-in (which they are required to give to you) and go somewhere else that does not mislead you about what it's really going on. Legally, these cases are not worth fighting unless the dealer refuses to return a down payment or a trade-in once they decide to renege on the deal. Unless you have some loss of a down payment or trade-in, the court usually says "No harm, no foul." However, if you’ve tried to get your down payment and/or trade-in back from a dealer and they’ve refused, you may be entitled to legal recourse. Call The Consumer Law Group today at 804-282-7900 to learn more. ?What is title washing and is it Auto Fraud? 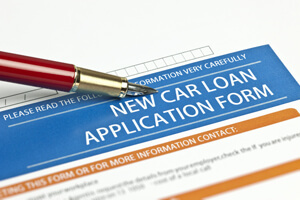 ?Should I consider an auto loan modification plan when I can’t make my loan payments? ?What is the “Five Finger Spread” scam used by car dealers?